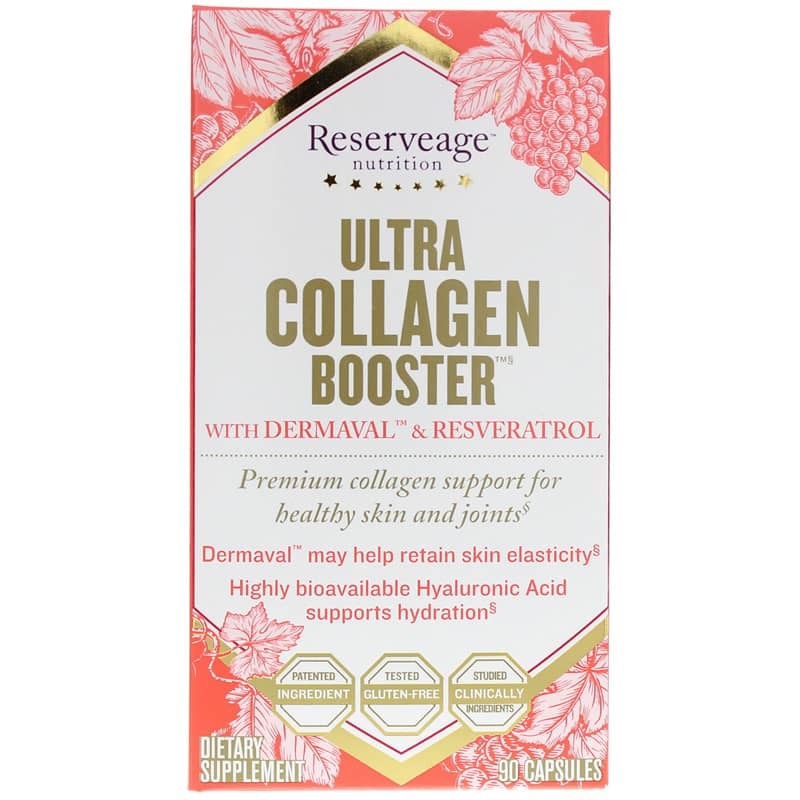 Ultra Collagen Booster with Biocell Collagen and Dermaval by Reserveage Nutrition is intended to provide support for the health of skin and to help reduce signs of aging. Collagen is a natural substance the body produces. 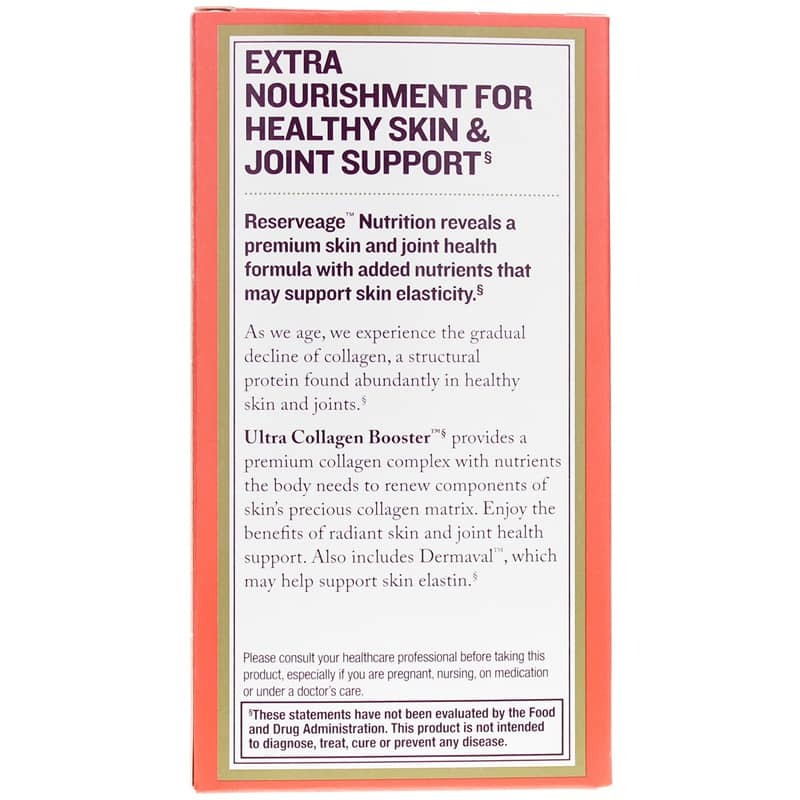 Collagen is found in the skin and connective tissues of the body and promotes softness and elasticity. As we age, we lose our natural ability to produce collagen, leading to wrinkles and sagging and to stiffness in the joints. 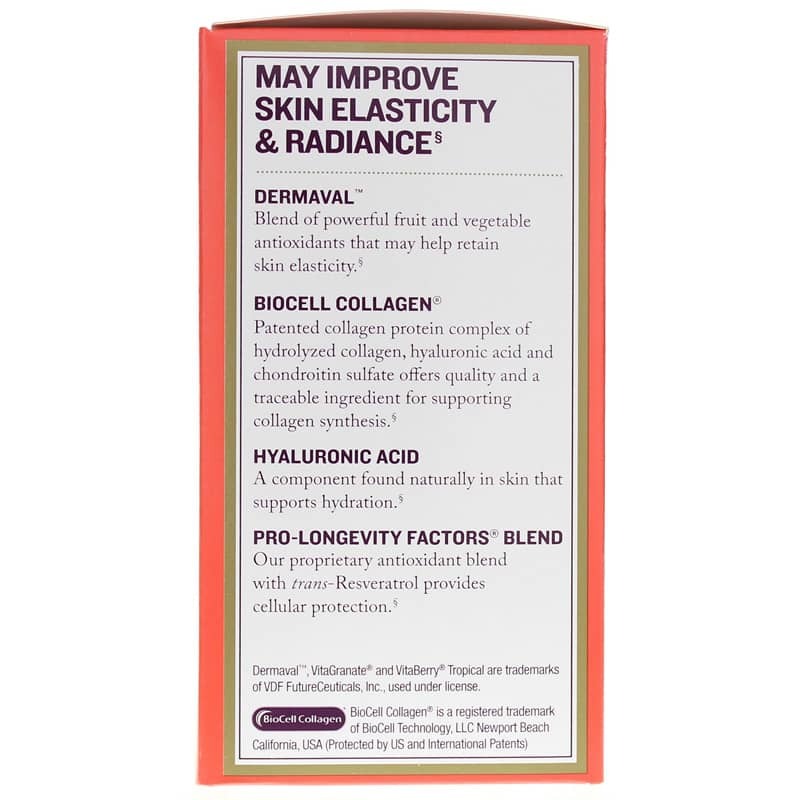 This supplement is intended to help the health of the skin and help reduce signs of aging like wrinkles and fine lines with collagen. This supplement also includes Dermaval, which is a blend of antioxidants from fruits and vegetables that are intended to support skin firmness and elasticity. 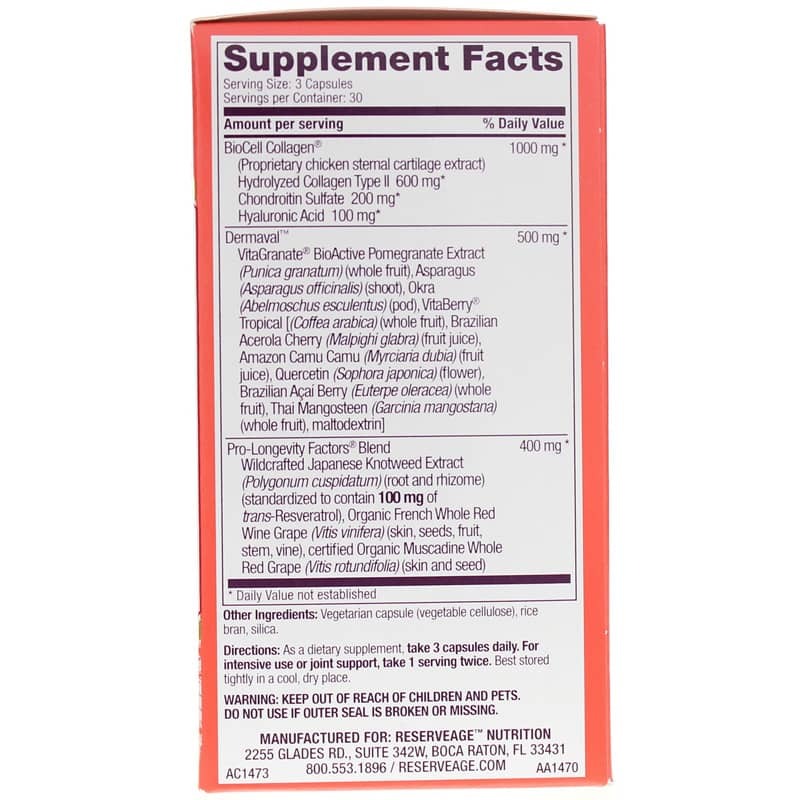 Adults may take 3 capsules daily as a dietary supplement. This supplement can be taken on an empty stomach, with food or as recommended by a healthcare professional. Best stored tightly in a cool, dry place. Adults: As a dietary supplement, take 3 capsules daily. For intensive use or joint support, take 1 serving twice. Best stored tightly in a cool, dry place. In my middle 70's, and the tightness in the hip and groin area is mitigated...knock on wood.